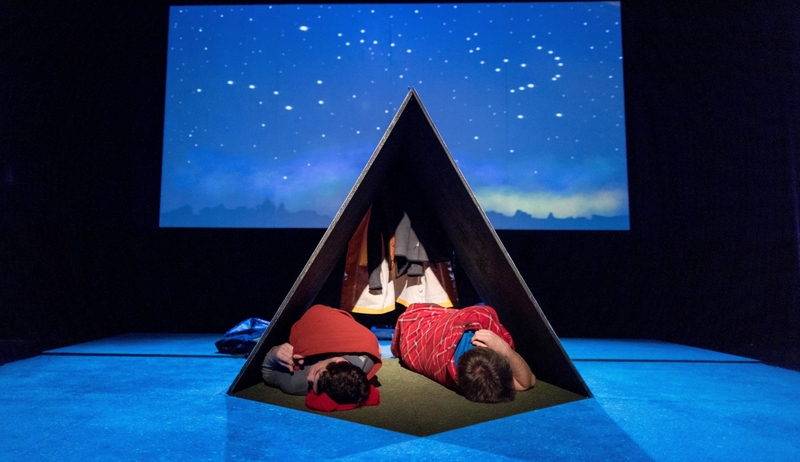 A modern-day adventure for all, Star Chasers sees Billy and Dad heading north with just a tent and a box full of Mam’s memories. On the way, they pitch their tent, conjure Mam’s stories and quarrel as they seek journey’s end and a new beginning. This is a rich exploration of the relationship between a parent and child and their attempts to come to terms with the shared loss in their lives. A tapestry of music, movement, and magical imagery. Star Chasers is suitable for children 5 years plus, their teachers and families. Concession rate applies to groups of 15 or more. Star Chasers by Scott Young was commissioned by Barnstorm and first produced in 2017.